Trade Minister Monica Mæland announced plans Thursday evening to greatly reduce the state’s ownership stakes in large Norwegian companies, starting with Telenor and Kongsberg Gruppen. She wants parliamentary permission to cut the state’s holdings in Telenor and Kongsberg from 54 and 50 percent respectively, to 34 percent. The stock sales could generate as much as NOK 46.6 billion for the state treasury, given Thursday’s closing share prices for each company on the Oslo Stock Exchange. It’s not so much any gains Mæland wants to realize, though, as it is a political desire on the part of the new conservative government coalition to strengthen the private sector and strengthen the individual companies’ ability to make strategic choices. “I think this can give both Telenor and Kongsberg Gruppen possibilities that they don’t have today,” Mæland told Norwegian Broadcasting (NRK) on the state broadcaster’s nightly newscast Dagsrevyen. Major state shareholdings in such companies as Telenor, Kongsberg, Statoil, Yara and Norsk Hydro, for example, have long made the state a dominant owner in Norwegian business. That has left other shareholders in a minority position, and, presumably, lessened their shares’ marketability. 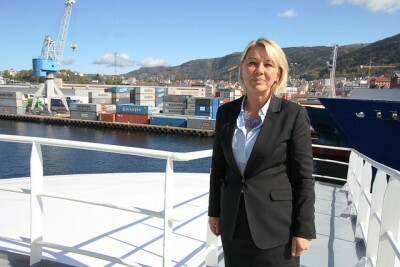 Mæland and her fellow government ministers favour more privatization and less state intervention in Norwegian business. She doesn’t worry as much as her predecessors have about a need for the state government to maintain such dominant interests in private company, many of which were previously wholly state-owned. Mæland said the government wants to spread ownership of Norwegian business and told NRK that “we’re not allergic” to international investors. “We want to make it attractive for foreign investors to invest in Norway,” she said. Gabrielsen also noted that while the state would still hold a significant stake in Telenor and Kongsberg, to ensure the companies’ headquarters would remain in Norway, he noted there is a major difference between majority control of more than 50 percent and minority control with 34 percent. He claimed the government’s proposal was based on political ideology, not on the needs of Norwegian business and Norwegian employees. Mæland wouldn’t reveal the government’s sell-off plans for other major Norwegian companies. “We’ll make different decisions regarding the various companies,” she said. The state traditionally has held large ownership stakes in companies that control natural resources, are heavily involved in technology or have other businesses considered to be in the state’s interests.